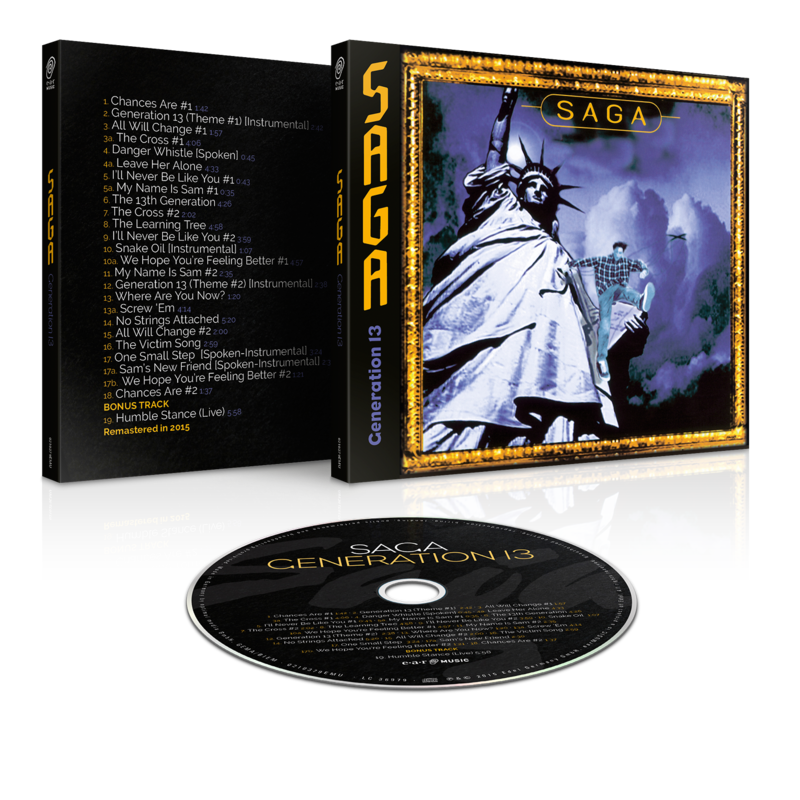 The 11th studio album "Generation 13" was originally released 1995 and saw SAGA release their first concept album. Inspired by the book ´13 Gen Abort Retry Ignore Fail` by Neill Howe and Bill Strauss keyboardist Jim Crichton developed the (fictitious) story of young Jeremy, a member of what is known as the 13th Gen, whose future prospects were full of uncertainties such as unemployment or homelessness despite the nation’s huge wealth. As a result, Generation 13 turned out as a very complex musical album with great rock songs and a truly creative and interesting story full of social criticism. The album is considered as a one of the best concept albums in prog rock history by many. For this re-release, the album was completely remastered (2015). The tracklist is completed by one additional bonus tracks (never released before), newly recorded during their European Touring 2015 at Fabrik, Hamburg. "Steel Umbrellas" is one of the second round of earMUSIC’s SAGA Reissue Series and is best known for featuring a more popish side of SAGA. The album was originally composed as a soundtrack for a TV series called ´Cobra`. Mixed by Mike Ging (Michael Jackson, Toto, Nazareth) in L.A., Steel Umbrellas takes you straight back to a more popish 80’s sound. While the opener “Why Not” is a great rock tune in all SAGA’s tradition, some very nice flowing ballads such as “I Walk With You” or “Say Goodbye To Hollywood” are featured here; “Steamroller” comes along with quite a funky attitude and “Shake That Tree” got a real groove on. 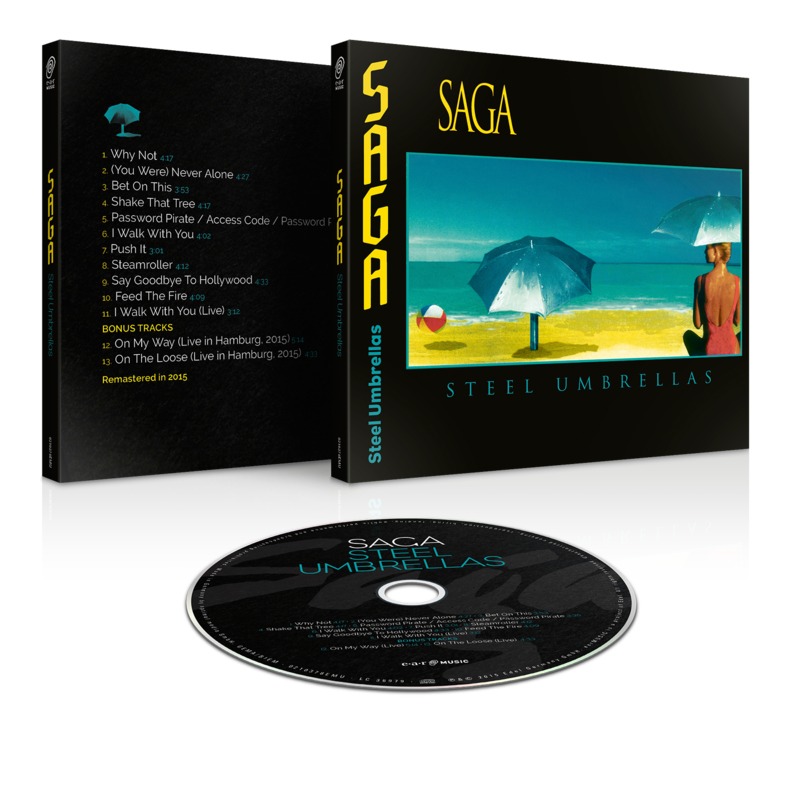 Overall, Steel Umbrellas definitely features a softer SAGA than its preceders but doesn’t neglect the signature SAGA sound. For this re-release, the album was completely remastered (2015). The tracklist is completed by two additional bonus tracks (never released before), newly recorded during their European Touring 2015 at Fabrik, Hamburg.